BALOCCO, Italy — Alfa Romeo resurrects its iconic 8C sports car and brings back its GTV nameplate, while Maserati’s new Blue sub-brand will build a battery electric Alfieri based on the concept car and add electrified versions of the next Quattroporte and Levante, all by the culmination of Fiat Chrysler’s new Five Year Plan, in 2022. Ferrari will supply internal combustion, hybrid, plug-in hybrid and pure electric powerplants to all future Maseratis, said the marque’s chief, Tim Kuniskis. Fiat Chrysler’s premium Italian brands also are committed to Levels 2 and 3 autonomous technology by ‘22. 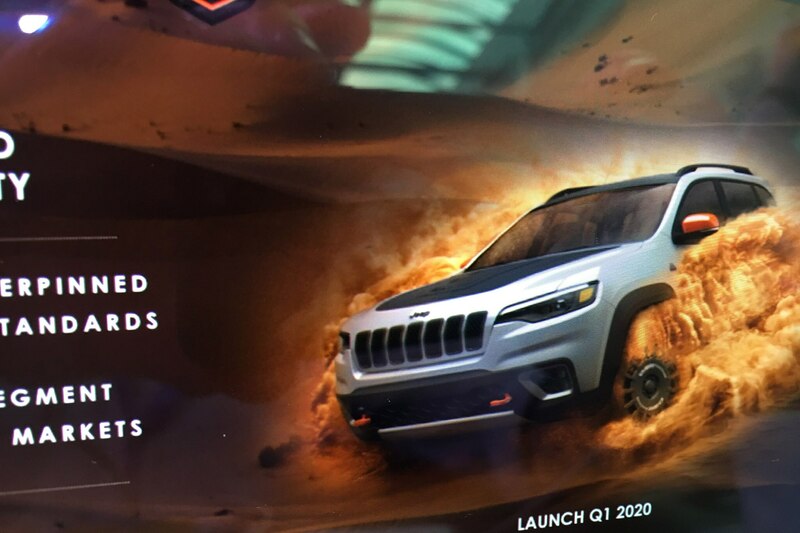 Jeep is launching a new Desert Hawk chassis package to its lineup of Trail Hawk and Track Hawk models, beginning with the next-generation Grand Cherokee, Jeep, and Ram marque chief Mike Manley announced, plus a new three-row midsize SUV probably based off the Grand Cherokee. The Jeep Wagoneer and Grand Wagoneer are scheduled for the 2020 calendar year, while the Jeep Scrambler pickup based off the JL Wrangler is due next year. 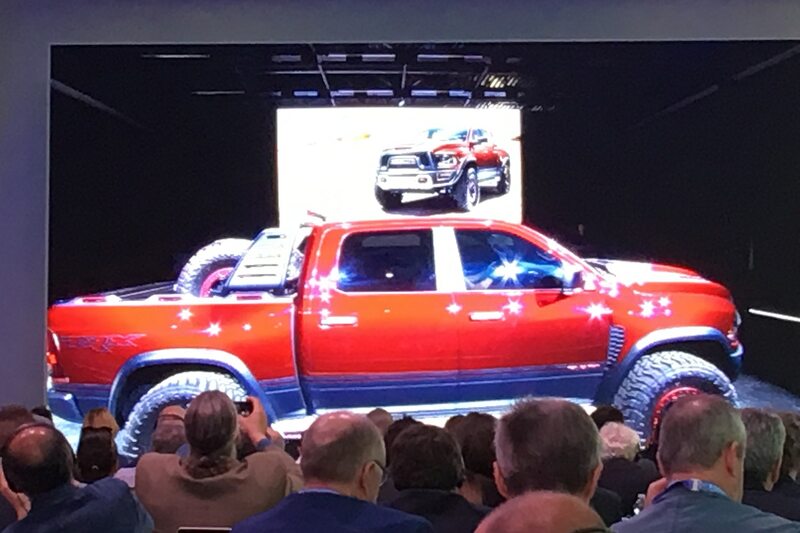 “By ’22, we will launch a midsize pickup truck” under both the Ram and Fiat brands, Manley said. He confirmed Ram will produce the TRX extreme performance off-roader based on a 2016 concept, to compete with the Ford F-150 Raptor. Ram will unveil the next generation heavy duty pickup truck line at the North American International Auto Show, January 2019 in Detroit. Kuniskis described the next 8C as having a carbon-fiber monocoque chassis, twin-turbo mid-engine V-6, electrified front axle with all-wheel-drive, more than 700 horsepower (combined) and sub 3.0-second 0-62 mph acceleration. “We (Alfa) will launch a sports car in every segment, including C- (compact utility vehicle) UV, and full-size UV,” Kuniskis said at Fiat Chrysler’s Five Year Plan/Capital Markets Day at Alfa’s test track facility outside Milan. The new “heart of the market” GTV will have 50/50 weight distribution, 600-plus horsepower with E-Boost, all-wheel-drive with torque vectoring and four-passenger seating. A teaser image shows a rakish coupe vaguely similar in shape to a BMW M4. Other new Alfas by ’22 include a new, compact SUV and a full-size SUV. Alfa will redesign the Giulietta compact within five years, though it’s not clear whether it will come to North America. 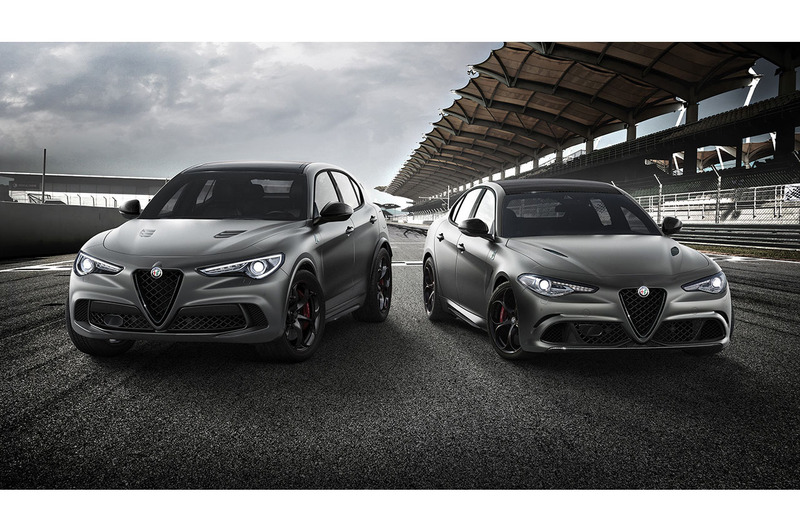 Long wheelbase versions of the Giulia and Stelvio are planned for the Chinese market. All new models will include some form of electrification, and six models will be available as plug-in hybrids. Kuniskis said the Maserati Alfieri will be built on a modular spaceframe, available as a battery-electric and plug-in hybrid. The PHEV will feature e-AWD with lightweight components lending to a weight gain of just 385 pounds over a comparable internal combustion-powered model. 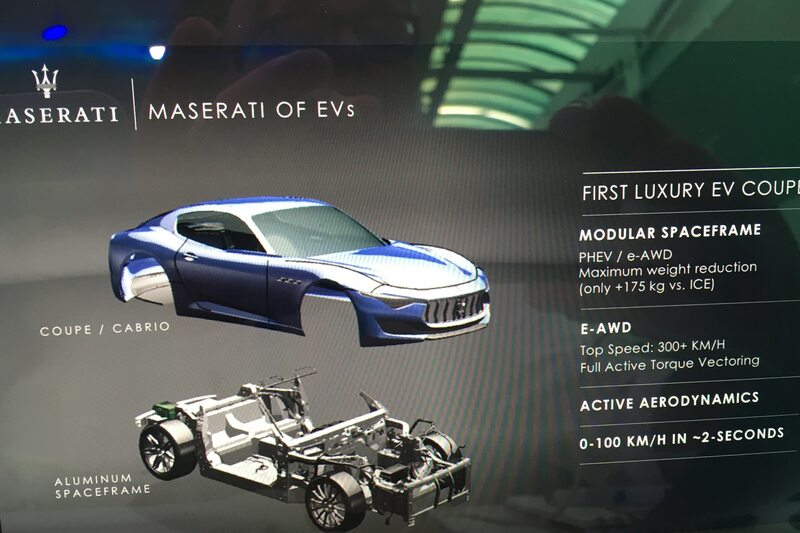 The full-EV Alfieri will have a top speed of 300+ kp/h, or more than 186 mph, and a 0-62 mph time of less than 2.0-seconds. By 2022, Maserati will launch a new Levante, Ghibli, and Quattroporte in addition to a new smaller, midsize “D-segment” SUV, and the Alfieri. All will be electrified, with PHEV powertrains, and will have Level 3 autonomous capabilities. The Alfieri, Alfieri Cabrio, Quattroporte, and Levante will be available as pure battery-electric vehicles under the new Maserati Blue sub-brand. When Fiat launched the 500 EV, Fiat Chrysler CEO Sergio Marchionne famously asked consumers to “please don’t buy one,” because each cost the company $14,000 over its asking price. But this new Five Year Plan sees a full reversal of that attitude. In addition to the premium priced Maserati and Alfa Romeo EVs and PHEVs, Jeep plans a plethora of electrified vehicles by culmination of the plan in calendar year 2022, and they’re all designed to make a profit. By then, Jeep will offer fully electric versions of its new Renegade, refreshed Compass, Wrangler (China region only), the new Cherokee, its low D-segment three-row, the Grand Commander just launched in China, and Jeep Wrangler Scrambler pickup truck. All models, including the E-segment three row, Grand Cherokee two-row and Wagoneer/Grand Wagoneer will be available as PHEVs. 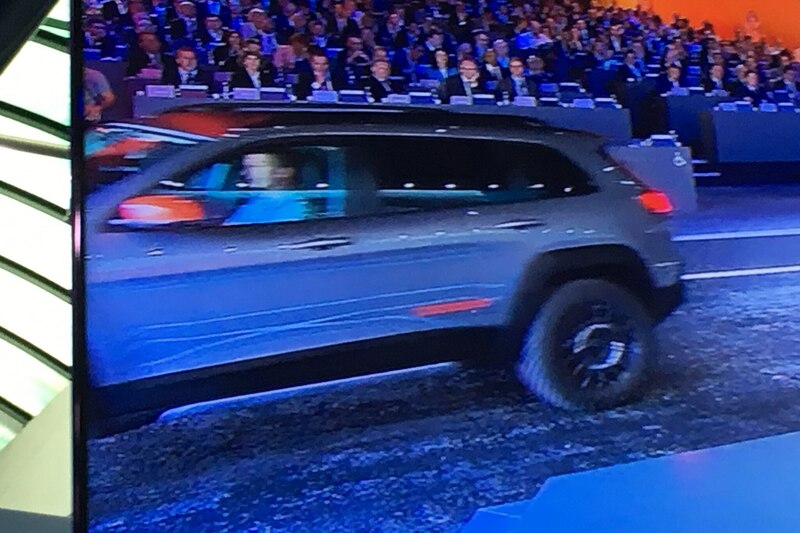 Addition to the Jeep brand of the E-segment three-row, which it does not name, hints at the eventual demise of the Dodge Durango, which currently shares its platform with the Grand Cherokee. The all-new Jeep Grand Cherokee, planned for calendar ’20, will move to Alfa Romeo’s Giorgio RWD-based platform. Automotive News reported last September that the next-generation Dodge Journey will become a performance two-row SUV using the Giorgio platform. There also have been rumors that Fiat Chrysler would kill the Chrysler marque with this plan. In Fiat Chrysler’s 2014 Five Year Plan, the Dodge Charger and Challenger were to be redesigned for the Giorgio platform. The 2018 Five Year Plan is the first of Fiat Chrysler’s three that do not have presentations on the Chrysler, Dodge, or Fiat marques (the first plan, in 2009, also included a product plan for Lancia). This year’s marks the last Five Year Plan presentation for Sergio Marchionne, who is retiring as Fiat Chrysler’s CEO by the end of this year, though he retains his position as Ferrari’s CEO. 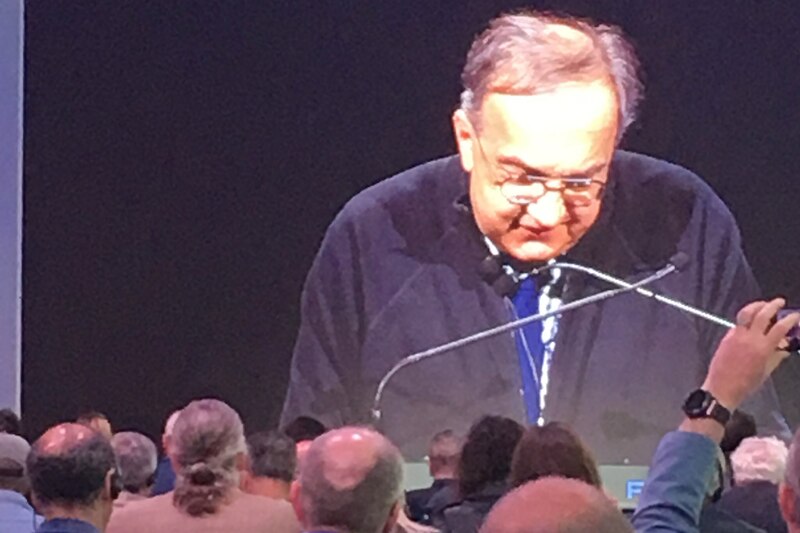 He donned a necktie, reportedly for the first time in more than a decade, quoting Oscar Wilde that “a well-tied tie is the first step in life…” (Marchionne wore his under a sweatshirt, loosened at the neck). Marchionne wore the necktie in honor of Fiat Chrysler’s impending retirement of its industrial debt, which he said will happen this month. The 2018 Five Year Plan reflects the company’s runaway financial success (analysts estimate 70 percent of its profit comes from Jeep), due in large part to its concentration on SUVs and trucks, and on the Jeep, Ram, Maserati, and Alfa Romeo marques. More to come when Marchionne takes questions, first before a group of investment analysts, then an international group of reporters in the Fiat Chrysler Five Year Plan afternoon session.